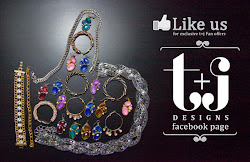 t+j Designs Blog: Fabulous Thanksgiving Discount! We hope those of you celebrating Thanksgiving this week will have a very happy thanksgiving and to celebrate we wanted to share a very special discount! 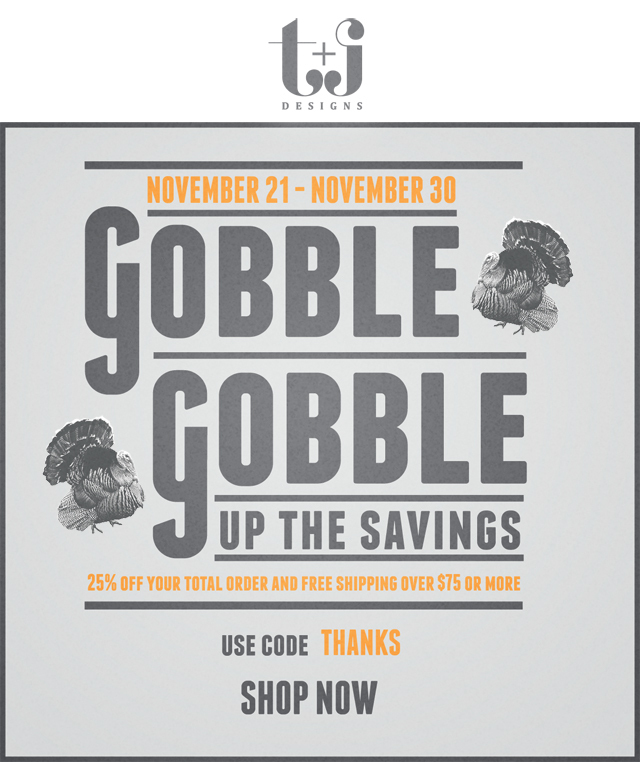 From now until November 30th, take 25% off your entire order! And not only that, you'll also get free shipping on orders $75 or more! Use code THANKS at checkout. Blondie, Esq sent me calling. I am of that certain age where reading glasses have become needed. Oh well. I wonder if you have ever considered carrying embellished reading glasses. Thanks for your gorgeous stuff!